Drilling companies are suspected of picking sites that disproportionately affect low-income and minority residents. After Congress Gutted Propane Market Reform, Industry Doubles Down on Secretive Storage Plan – DC BureauDC Bureau. Big farms, frac sand mines could feel force of judge’s groundwater ruling : Ct. Waste Water from Oil Fracking Injected into Clean Aquifers | NBC Bay Area. ENB – Statewide Notices 5/21/2014 – NYS Dept. of Environmental Conservation. S5166-2013 – NY Senate Open Legislation – Relates to rules and regulations of the state; requires recommendations on repealing unnecessary or otherwise burdensome rules and regulations – New York State Senate. TRANSPORT: Environmentalists ‘get real creative’ to combat oil by rail — Monday, January 13, 2014 — www.eenews.net. 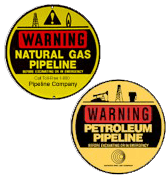 The U.S. Department of Transportation’s Pipeline and Hazardous Materials Safety Administration (PHMSA) Office of Pipeline Safety (OPS) is the federal safety authority for ensuring the safe, reliable, and environmentally sound operations of our nation’s pipeline transportation system. An important component of OPS’s mission is to promote pipeline safety communication and education.